I’m always learning about amazing artists and authors on Instagram. 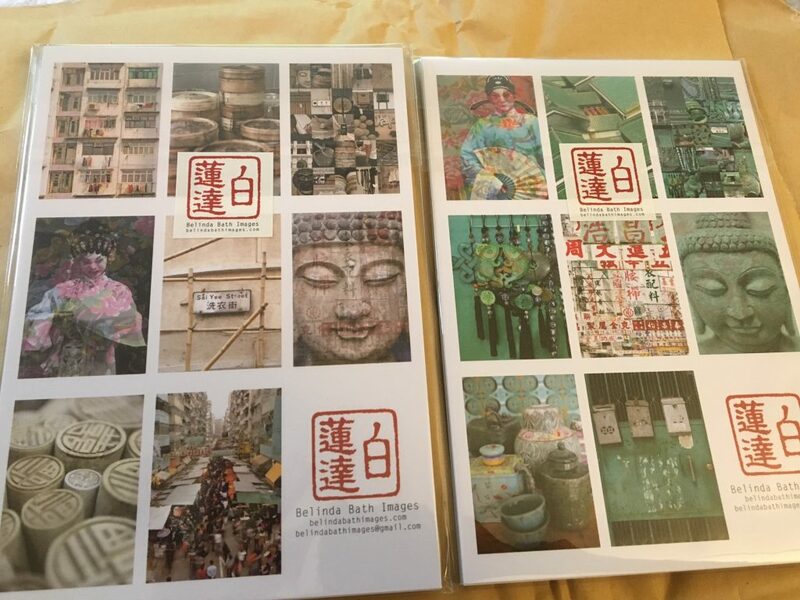 When I started following Belinda Bath in Hong Kong, I was completely hooked. 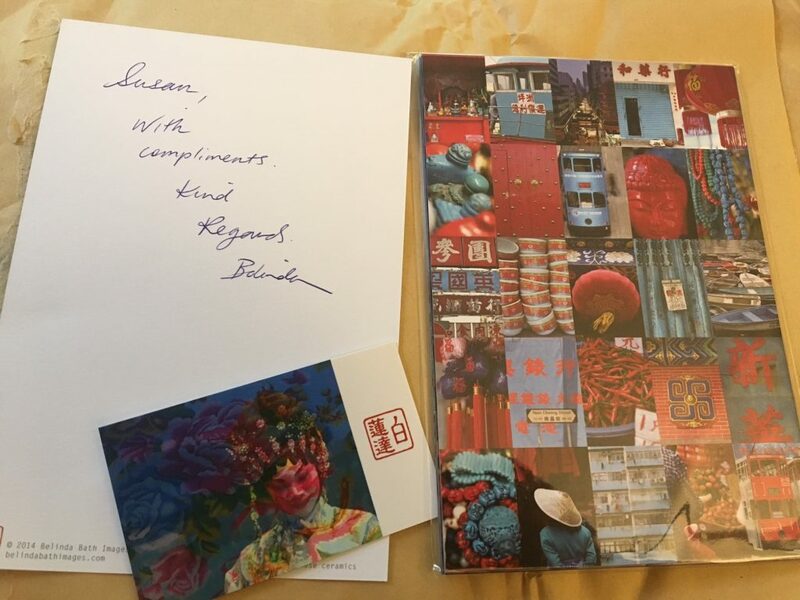 Her photographs are so beautiful and I’ve never seen anything like them before (this coming from someone who collects Hong Kong photography books). As I’m apt to do, I checked out her online store (a new website is in the works) and inquired about her postcards. A week later I received a whole slew of them! 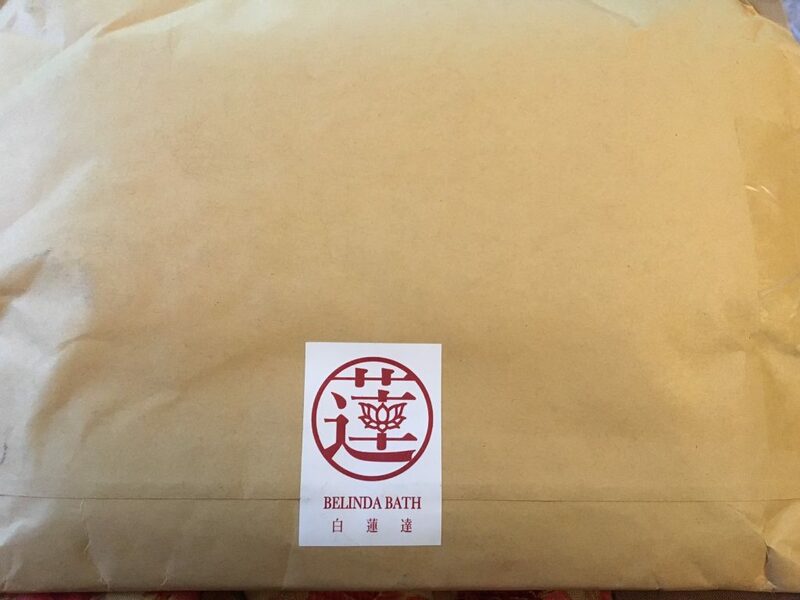 The packaging included a sticker with her logo, which in Mandarin sounds like Bai Lian Da. Lian is the character for lotus, so I love how she incorporates the lotus in her logo. It’s always nice receiving a personal note! My photos definitely don’t do her cards justice, but I hope they show why I’m so enthralled by them. 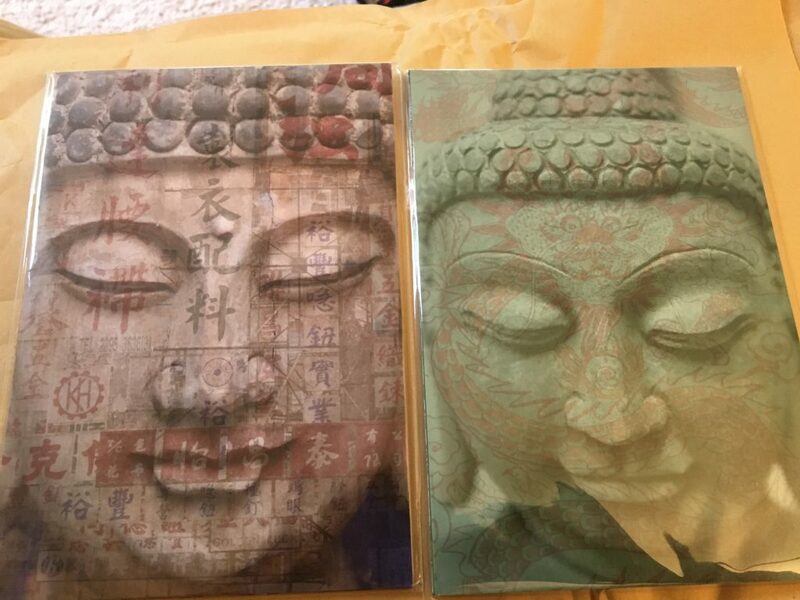 Each of these thumbnails is a postcard inside the package. 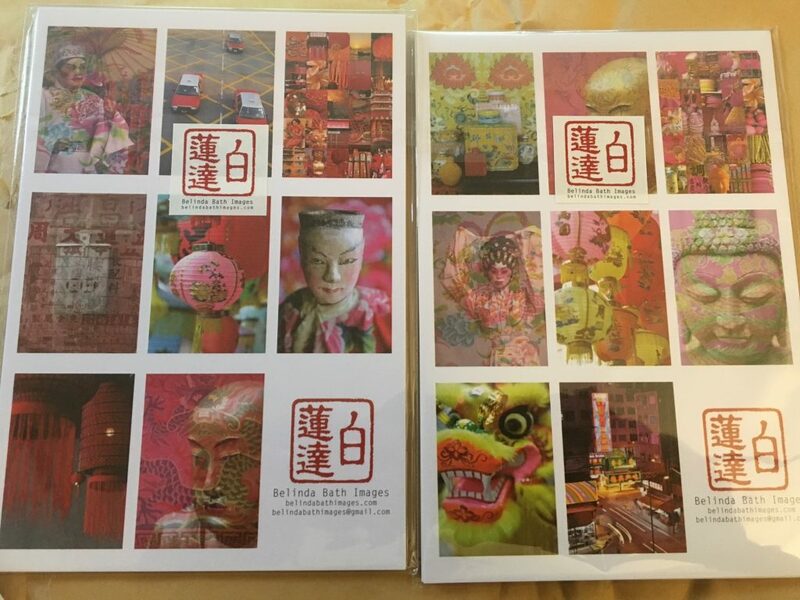 A sample of the postcards themselves. 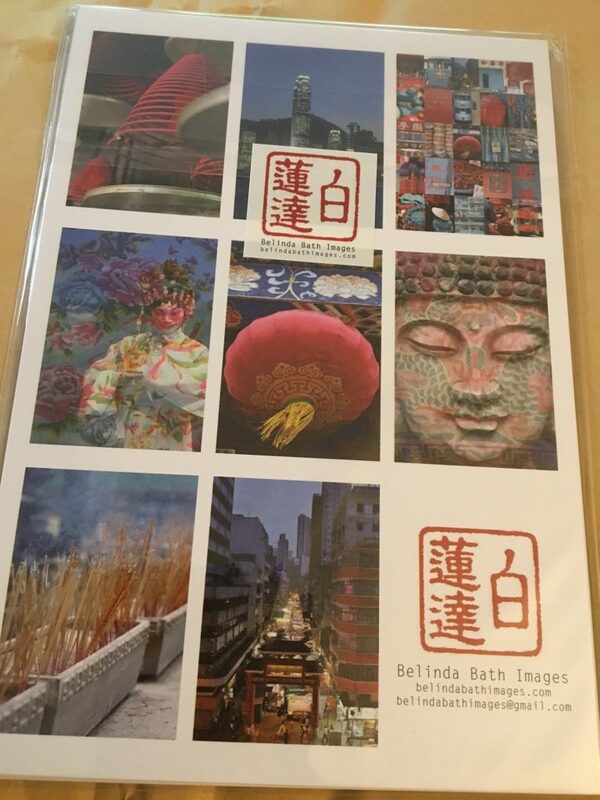 Belinda Bath also sells larger unframed prints, mostly of Hong Kong, but also Singapore and places in Europe. I look forward to seeing her new website and online store.